Unless you’ve been living on Mars for the last 6 weeks, you’ve probably heard of the Ashley Madison Hack. The now infamous website promotes extramarital affairs with the slogan, “life is short, have an affair.” The selling point behind the website was the extreme level of discreteness offered to it’s clients. In a bit of an ironic turn to that selling point, 37 million accounts were released to the public by hackers. As data journalists, we were interested in trends and commonalities behind the data. 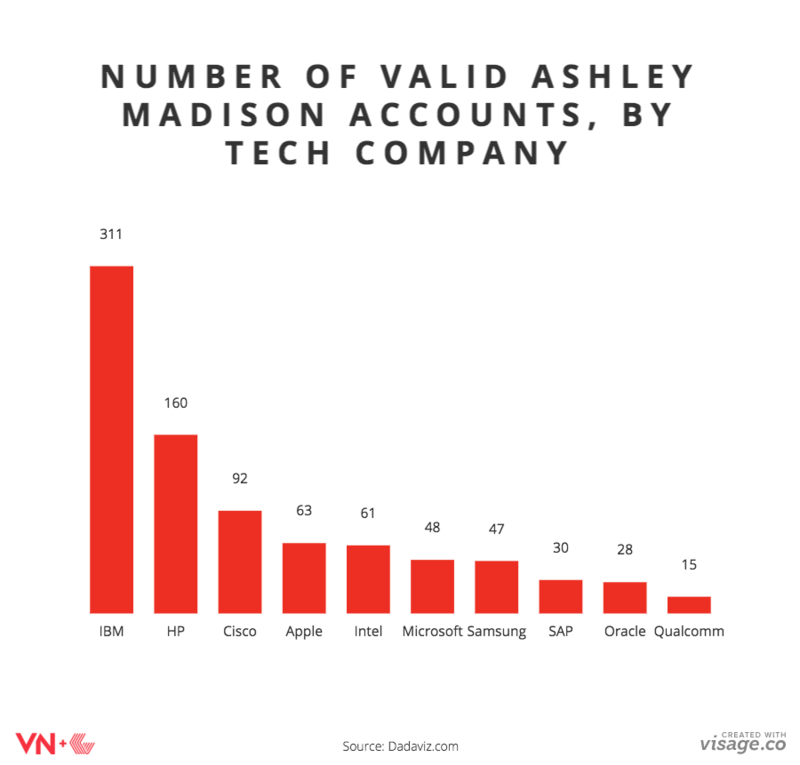 So we put together these 7 charts that glean some insight into Ashley Madison’s user base.